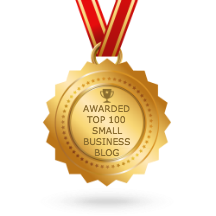 The Australian Small Business Blog has been created by Dr Greg Chapman, MBA, professional speaker for small business, to provide education & support to Small Business Owners. If you would like a free preview copy of Dr Greg Chapman's best selling small business book "The Five Pillars of Guaranteed Business Success", click on the image below. If you would like to contribute to this blog, please email us. If you want to comment on an article, click on the speech bubble at the end of the article. If you want to see other comments, click on the hyperlinked time of post. Send a copy of the article by clicking on the envelope. Dr Greg Chapman is The Business Brain Surgeon.